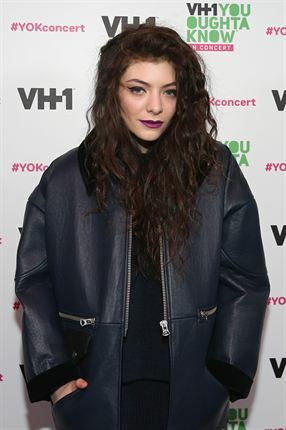 Time Magazine has recently released a list with the 16 most influential teens of 2013. 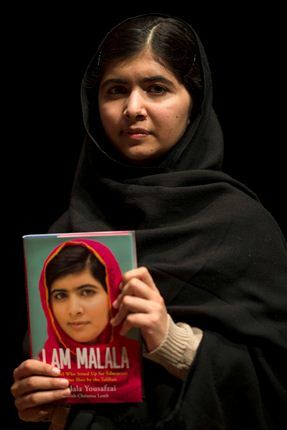 In 2012, Malala Yousafzai, 16, was shot in the head and neck in an assassination attempt in Pakistan. Malala was a target because of her vocal activism to better the education of girls under Taliban rule. After surviving the attack she didn’t hide in fear but strengthened her voice. This year she received various awards but most notably, she was nominated for the Nobel Peace Prize. Chloe Grace Moretz is a leading lady for the first time in Carrie, but the blood-drenched horror film is hardly this 16-year old’s first rodeo. The Atlanta native has had supporting roles in (500) Days of Summer and Hugo, and she’s an up-and-comer in the fashion world, too. The younger sisters of the Kardashian clan are no strangers to the spotlight, but they’re making their own waves as well. Kendall, 18, is an ambitious model, while Kylie, 16, is in talks with P. Diddy to join his TV network, Revolt TV. They’ve also shown an early talent for deal-making: the pair launched a clothing line with PacSun this year. Beth Reekles was looking for something to read other than the typical Twilight, when she decided to write her own teen fiction book. 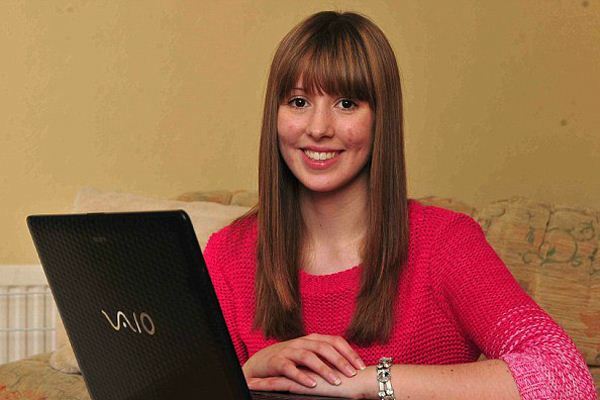 At 15, she used story-sharing site Wattpad to release her novel, The Kissing Booth, which earned more than 19 million views and caught the attention of Random House Children’s Publishers U.K. Beth, 17, scored a three-book deal with the U.S. arm of RHCP. At high-profile events, like her father’s second Inaugural Address, Malia and her sister, Sasha, act with the poise of adults. Thanks in part to Michelle Obama, they seem to lead as normal lives as they can while still meeting the demands of being in the limelight. President Obama often mentions his daughters in speeches, and says that they influenced his stance on gay marriage. Mad Men’s Sally Draper is the sassiest character on TV, all thanks to Kiernan Shipka. The 14-year old actress has been playing Don Draper’s rebellious daughter since she was six and a half, but she’s still not allowed to watch the hit AMC show. Shipka also nails her red carpet appearances, with a quirky but age-appropriate style that gets her raves from the fashionable set. The Canadian-born pop star was valued by Forbes at $58 million. He released his first single at age 15, and in 2010, he became the youngest solo male artist to hit #1 on Billboards Hot 100, with My World 2.0, since Stevie Wonder. His high profile breakup earlier this year with fellow star and girlfriend of two years Selena Gomez landed him in gossip sections the world over. 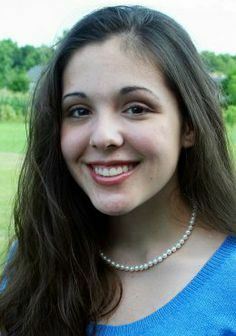 Maya Van Wagenen, 15, in her stride of wanting to become popular, she wrote about applying lessons such as always wearing white gloves in a small Texas town, landed her a six-figure Penguin book deal for, Popular: Vintage Wisdom for a Modern Geek. DreamWorks optioned the rights for the novel, making the budding author the “youngest non-actor to ever make a deal” at the film studio. 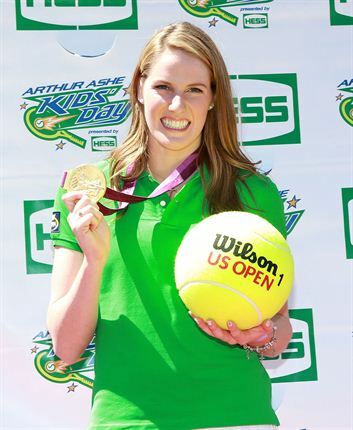 Missy Franklin, 18, won six gold medals at the 2012 Olympics and in doing so not only claimed the title of winningest female swimmer ever at a world meet, but also became the fifth swimmer to capture six or more golds at Worlds or the Olympics. She won the Women’s Sports Foundation’s Sportswoman of the Year award this year. 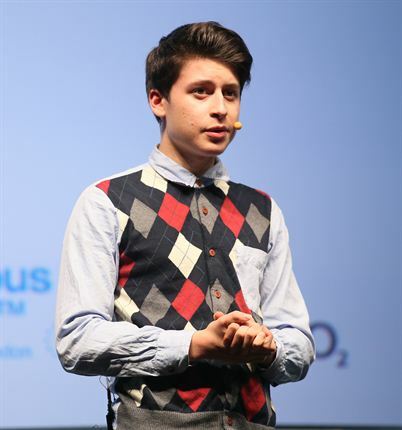 Programming whiz kid Nick D’Aloisio sold Summly, a news-reading and summarizing app, to Yahoo in March for $30 million. Other investors include Wendi Murdoch, Yoko Ono, and Ashton Kutcher. 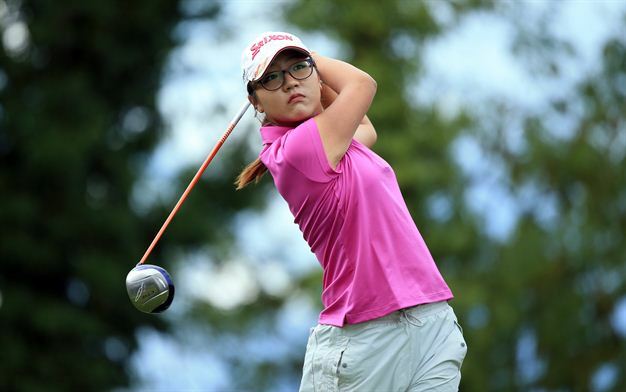 16-year-old Lydia Ko has multiple LPGA wins. She turned pro this year—the LPGA waived the age requirement for her to join—and she’s already fifth in women’s world rankings after just 23 tournaments. She’s the youngest person ever to win a professional golf tour event and the youngest person ever to win an LPGA tour event. Hailee Steinfeld had nearly no previous acting experience when she was nominated for an Academy Award at age 13 in 2010 for her role in True Grit. Now she’s playing a student at a military space academy in the sci-fi film Ender’s Game. “I still consider myself very much a beginner,” she told the Guardian. Bill de Blasio might be the Mayor-elect of New York, but his 16-year-old son Dante is the city’s latest fashion icon. 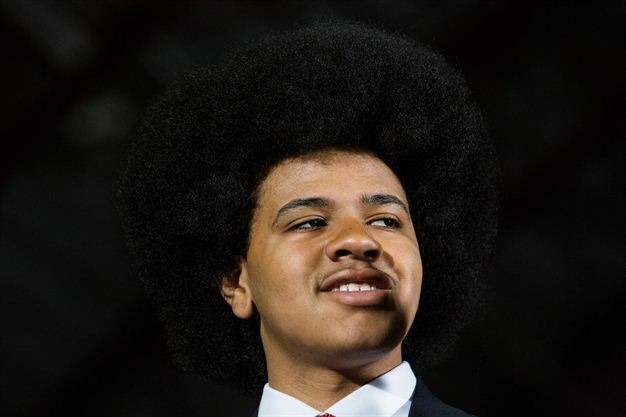 Dante’s now-iconic afro has starred in a campaign ad, inspired a New York Times Style section piece, and even gained President Obama’s attention. “Dante has the same hairdo as I had in 1978,” he said. 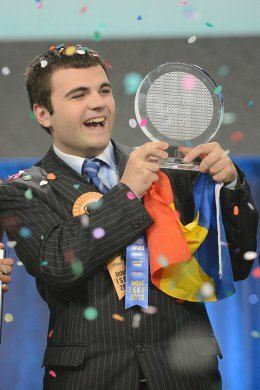 Ionut Budisteanu’s, 19, design for a low cost, self-driving car won first place and $75,000 at the Intel International Science and Engineering Fair for high school students in May. The prototype signals the potential of manufacturing autonomous driving vehicles to the masses, costing only $4,000 to build as opposed to Google’s $75,000 self-driving car.